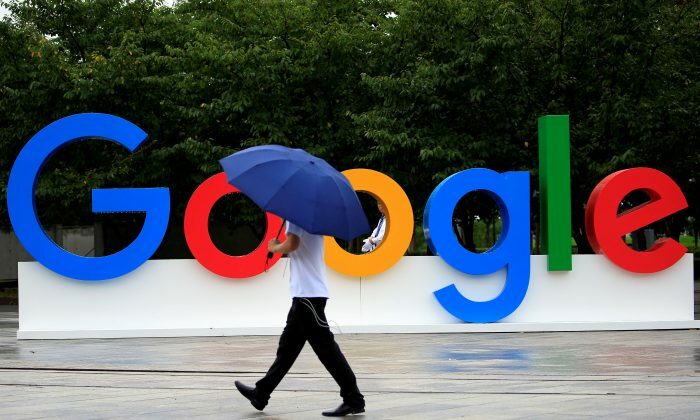 BRUSSELS—Consumer agencies in the Netherlands, Poland, and five other European Union countries asked privacy regulators on Nov. 27 to take action against Google for allegedly tracking the movements of millions of users, in breach of the bloc’s new privacy law. Google already is facing a lawsuit in the United States for allegedly tracking phone users regardless of privacy settings. The consumer groups, which included those in the Czech Republic, Greece, Norway, Slovenia, and Sweden, filed complaints with their respective national data protection authorities, based on research by their Norwegian counterpart. The European Consumer Organization (BEUC), a consumer lobby, alleges that Google uses various methods to encourage users to enable the settings ‘location history’ and ‘web and app activity,’ which are integrated into all Google user accounts. “These unfair practices leave consumers in the dark about the use of their personal data,” BEUC, speaking on behalf of the countries’ consumer groups, said. GDPR, which allows users to control their data, foresees fines of as much as 4 percent of global revenues for companies that break the rules. Asked for comment on the consumer groups’ complaints, a Google spokesman said: “Location history is turned off by default, and you can edit, delete, or pause it at any time. If it’s on, it helps improve services like predicted traffic on your commute. “If you pause it, we make clear that—depending on your individual phone and app settings—we might still collect and use location data to improve your Google experience.